1. Explore the waters of Andaman and Nicobar Islands: Apart from the scenic beauty and the blue waters, this famous group of islands has attracted tourists for its calm and serenity for a very long time. It is the perfect destination for a honeymoon couple or even if you wish to go on a vacation with your family and friends. To add a lot of fun to the tranquil surroundings, you can try out snorkelling and scuba diving in the waters. First off, it is important to understand the difference between snorkelling and scuba diving. When you float underwater, but not too below the surface of the water with the help of a mask, which allows you to breathe, it is known as snorkelling. However, if you want to go down further below then you will need a proper suit, a mask and an oxygen tank to help you; this process is known as scuba diving. Decide which one suit you better and go for it, or you always have the option of trying them out both, here at the Andaman and Nicobar Islands. 2. Fishing it out at Bheemeshwari: When it comes to South India, your options of participating in adventure tourism increase manifold. So if you want to try out something a little bit more relaxing and soothing, then you can try your hands at fishing! Bheemeshwari also has a wildlife sanctuary, and it is popular for the fishing activities carried on out here. 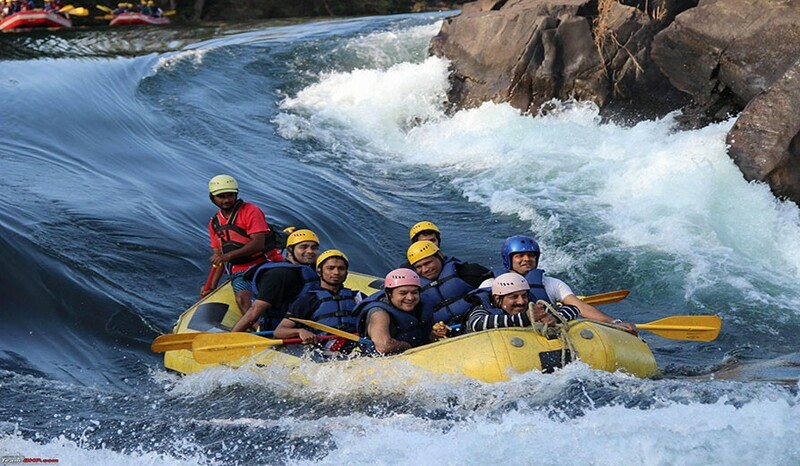 You can engage in other activities like trekking, river rafting, etc. while enjoying your stay here. To add to all the fun, you can even stay the night in lodges amidst the jungle! You will be woken up the chirping of more than a 100 types of birds. This is one place that you surely cannot afford to miss out on if you want to have a complete feel of adventure tourism in South India. 3.Flying high at Coorg: There is no dearth of adventure activities when in Coorg. You can try out different varieties of adventure activities here, the star attraction being waterfall rappelling. It is better to be trained beforehand when it comes to this sport because it requires a specific technique. 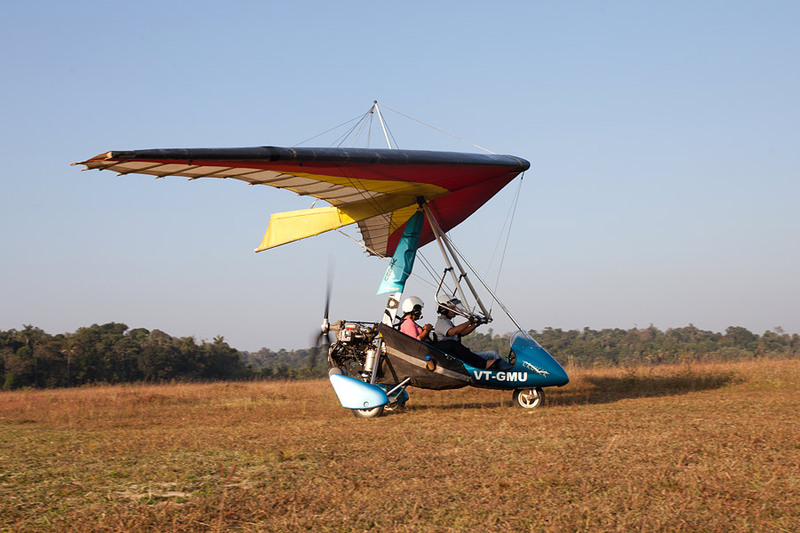 Another attraction of Coorg is ultra light flying. These are not practised in many places around India so if you are interested in adventure tourism, and that too in South India, do not give Coorg a miss! 4. 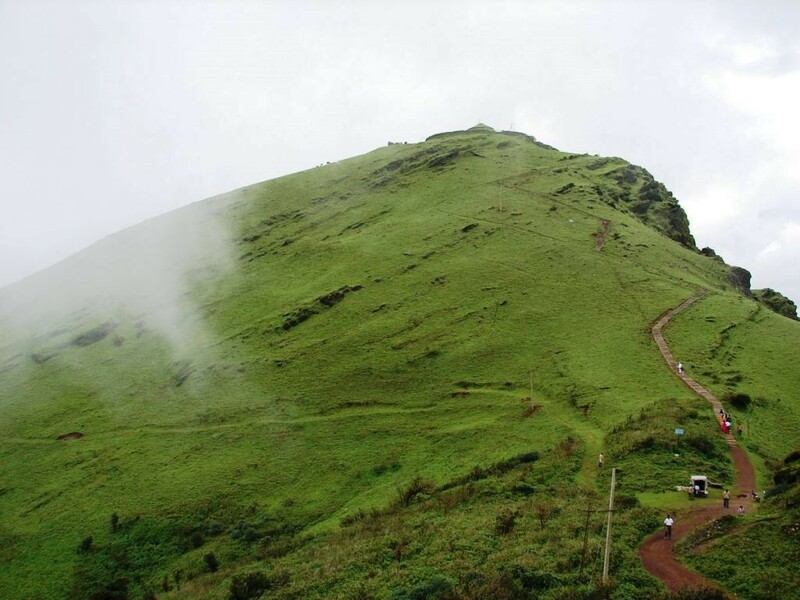 Trekking in Chikmagalur: Located in the state of Karnataka, Chikmagalur is a popular tourist destination. For the ones in search of adventure, you can try out the trek to the Kudremukh Peak, a name which it derives from the fact that the peak looks like that of a horse. Some parts of the path are easy while a few areas are a difficult terrain to cross. So for those of you, who love trekking, this is a really good option. 5. 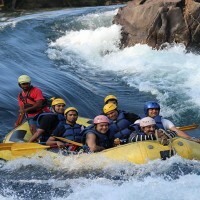 Rafting, camping and more, at Dandeli: White water river rafting is something, which you must try out when at Dandeli. 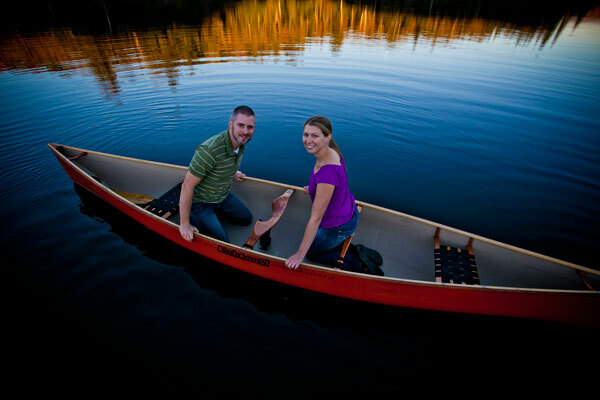 The wildlife sanctuary here is a place where people interested in adventure gather in. 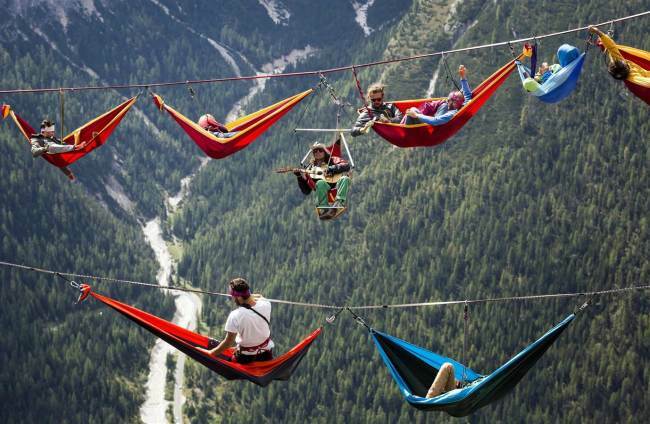 You can also try out camping here for a surreal experience. 6. Taking a look at Kadumadi’s beauty on paddles: Tamil Nadu is not a state which boasts just of temples. It has a beautiful countryside as well, which remains yet to be explored properly by tourists. It is a popular belief that you cannot properly know a place until and unless you explore it on foot. Well, Kadumadi has an option, which is closer but a little easier to that- cycling! You can cycle through the countryside, taking in all the beauty at your own leisure. Fresh air and good exercise, what more can one ask for? 7. Adrenaline rush on the roads: Tamil Nadu also offers you the possibility of another opportunity of the adrenaline rush- rides on ATVs. You can try these out and explore the terrain in the process. This surely does give a kick to your energy level! 8. The waters of Chennai: Surrounded by water, at least one side, all the places of South India has one water sport at least. This capital city gives you the perfect occasion to try out the waves with surfing. If you are a beginner, then sit for a few training sessions and then begin your joy ride in the waves. 9. Up above the world at Payyambalam Beach: Kerala is known for its beaches and what are beaches perfect for? Yes! Parasailing! Go ahead and try it out at the Payyambalam Beach in Kerala if you have not done it before, and if you have done it before, then enjoy it again! 10. 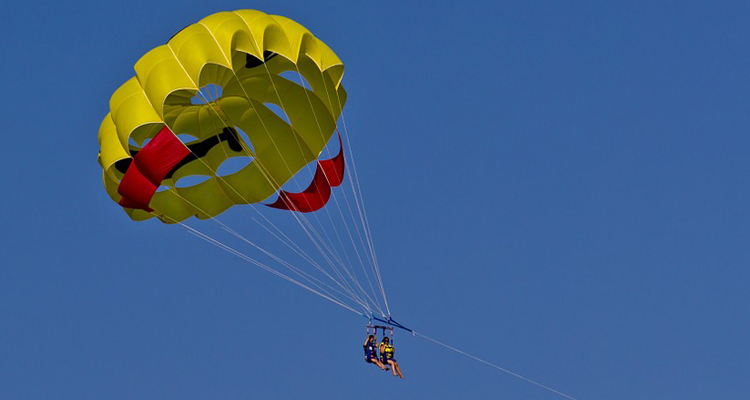 What does Bangalore have in store: The IT capital of the country too has an interesting adventure sport to offer! 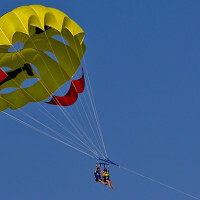 You can try out microlight flying in Banglore at the Jakkur Airfield. A touch of fresh air in the busy city never hurts anyone. This list will help you to narrow down on the best places that you should try out when talking about adventure tourism in South India. Try these places out because they won’t disappoint you!